The house renovations complete (see Maresfield Gardens), we were then able to add a new-build garden room at the back of the site under householder permitted development. This highly engineered structure, which houses a contemporary gym, floats under the tree canopy on a concrete raft just 200mm thick. Exposed concrete walls were cast in situ and board-marked using meranti that matched the garden fence. 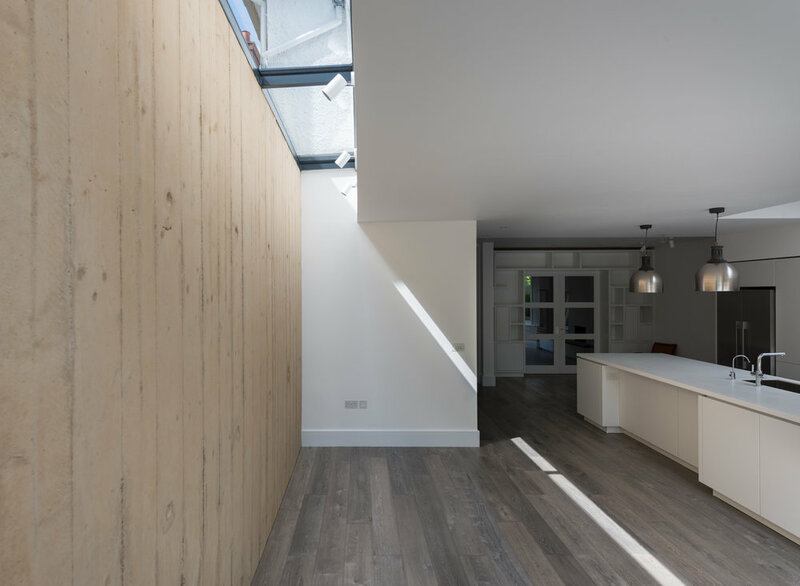 The wood was then recycled to form a flexible ceiling under the thin steel roof that cantilevers over the fully openable sliding corner glazing. The copper roof gives the building a refined elegance that is visible from the upper floors of the house.